Rumors that East Carolina University Chancellor Cecil Staton could lose his job are false, despite documents showing tension between Staton and the UNC system’s Board of Governors, board leader Harry Smith told Carolina Journal. The chancellor’s image has taken hits. 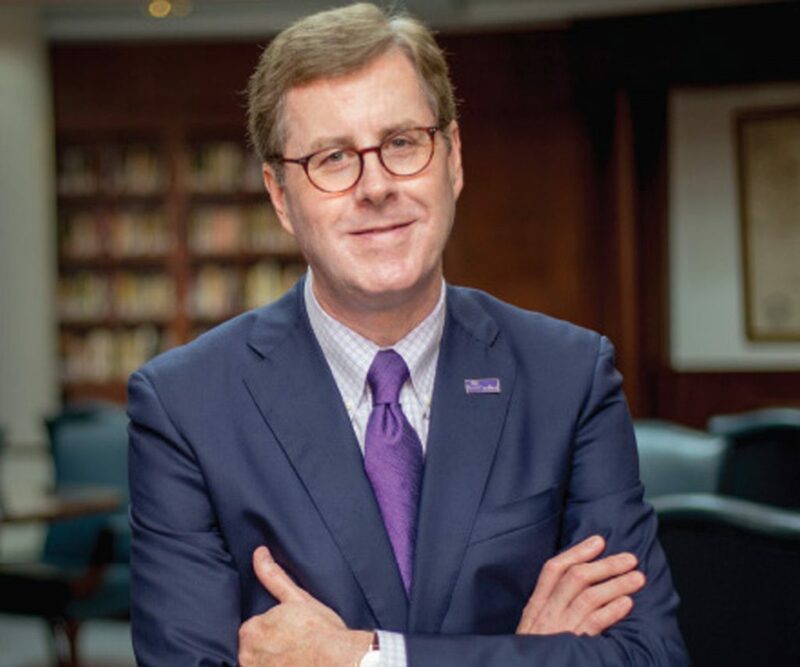 “It’s been a scandalous couple of years at ECU that has and continues to embarrass our great university,” Smith wrote in a July 15 email to Reps. Gregory Murphy, R-Pitt, and John Bell, R-Craven. The comment was “completely inappropriate,” Smith wrote. “Leaders take accountability and they don’t point the finger. I’m happy to sit down with Cecil and explain in great detail the many issues we have had under his leadership that he was in direct control over that has greatly hurt and divided ECU,” Smith told Bell and Murphy. “The many issues” include a $1.26 million employment buyout ECU’s Board of Trustees overwhelmingly approved for former university Athletic Director Jeff Compher, Smith told CJ. Smith, like other BOG members, has taken issue with the ECU Foundation’s purchase of a $1.3 million off-campus home for the chancellor and his family, though that objection was a “personal perspective,” Smith said. Ten days after Smith emailed Bell and Murphy to apologize for Staton’s editorial, the ECU Board of Trustees sent a letter to Spellings, supporting Staton and his vision. This isn’t the first time university representatives and the BOG have been at odds with each other. In 2016, Smith and Kieran Shanahan, chairman of ECU’s Board of Trustees, tangled over a plan Smith devised for off-campus housing, WRAL reported. According to the report, either the university or a private investment group — possibly with Smith as one of the investors — would buy a foreclosed apartment complex and rent some units to students. Smith co-owns off-campus student housing units in Greensboro and Georgia, WRAL said. Shanahan said the deal would work only if ECU forced students to rent some of the apartments. He didn’t back the proposal and said it wasn’t right for a member of the UNC Board of Governors to have a financial stake in a project operated by a member institution. Smith said when he learned the deal didn’t make financial sense, he dropped it — and that had the proposal gone forward, he would have recused himself from any discussions with ECU trustees or other BOG members. CJ contacted Shanahan — who was a lead signatory of the letter — asking a series of questions about the correspondence and about Staton’s relationship with the UNC board. The ECU BOT’s letter to Spellings turned out to be unnecessary, Shanahan said. But the board does share Staton’s concerns that ECU needs more money from the General Assembly, given the school’s quality of programs and its impact on the regional economy. The UNC board never will “overrun the trustees” and wouldn’t fire Staton without direction from ECU and Spellings, though “I know that rumor was flying … but that rumor never should’ve gotten any legs, and the world is full of rumors as you know,” Smith said. Staton is taking the heat, but many of ECU’s problems may not be the chancellor’s fault, BOG member David Powers told CJ. Smith and Spellings met with Staton July 26 in Chapel Hill to discuss the issues in question. The meeting was productive, and the board will support Staton, Smith said. The UNC board and ECU are moving forward together in a positive way, said ECU spokeswoman Jeannine Manning Hudson. “I’m not going to mince words a lot, but I’m also not going to do anything that would be hurtful, harmful, or anything against the institutions,” Smith said.